La cantante noruega de origen keniano Stella Nyambura Mwangi representó a Noruega en Düsseldorf en Eurovisión 2011 con el tema titulado Haba Haba. Nació en Murang'a, en Kenia el 1 de Setiembre de 1986. Cuando tenía 5 años se trasladó a Noruega con su familia. Desde muy pequeña empezó a mostrar interés por la música. Cuando tenía 11 años comenzó a rapear y empezó a trabajar en el grupo de hip-hop The Rise. Stella ha escrito sobre la situación de su país y la discriminación que sufrió junto con su familia cuando llegaron a Noruega. Sus trabajos han sido utilizados en series de televisión como CSI Nueva York o Scrubs y en películas como American Pie. Ha ganado varios premios. Se hizo popular en Noruega tras ganar el Melodi Grand Prix 2011. También ha sido conocida en Kenia, Senegal y Gambia. 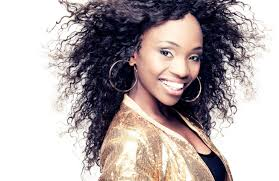 The Nordish singer originary from Kenya Stella Nyambura Mwangi was the representative of Norway in Düsseldorf in Eurovision 2011 with the song titled Haba Haba. She was born in Murang'a, Kenia on September 1st of 1986. When she was five, she moved to Norway with her family. Since she was a child she was interested in the music. When she was eleven, she started to rapping and started to work in the hip-hop group called The Rise. Stella has written about the situation of her home country and the discrimination that she had with her family when she arrived to Norway. Her works have been used in TV series as CSI New York or Scrubs and movies as well like American Pie. She as won several awards. She became famous in Norway after winning the Melodi Grand Prix 2011. She is known in Kenya, Senegal and Gambia as well.